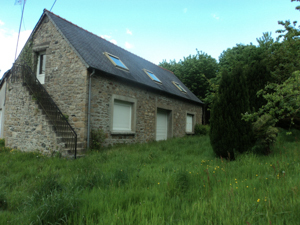 In Brittany property for sale provides one of the few real estate bargains in France. You can afford your dream in Brittany France. Brittany is famous for its coastline with sailing, swimming and stunning views. 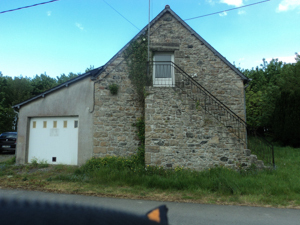 Brittany property for sale included this classic Breton stone house pictured. Located in Le Merzer, Côtes-d'Armor department of Brittany France. Quiet rural living in Brittany France. Your next door neighbor is a beautifully wooded forest, a rare find in France. 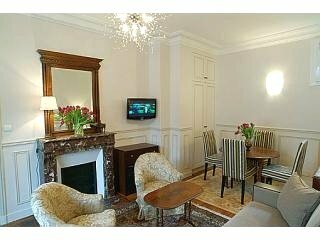 10 minutes to the town of Guingamp for shopping, & restaurants. Famous for the annual Breton dance festival. 25 minutes to the beautiful village of Paimpol on the coast. 45 minutes to stunning Perros-Guirec on the pink granite coast. 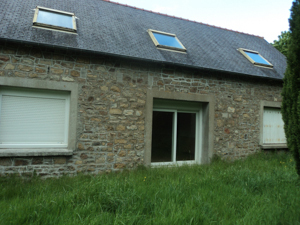 This property has since sold but I give it as an example of what you can get in Brittany. It was bought by a young French couple who wanted to renovate a classic Breton stone house. It is rare for young French people to gavitate to the old houses. Most want new and modern. This gives you a leg up because there is much less competition to getting the house of your dreams. 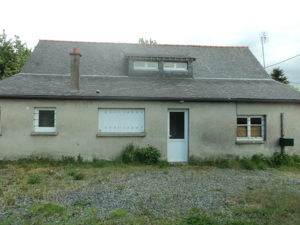 When you want to buy a property in France you need the services of a Notaire. Read more about what you need.